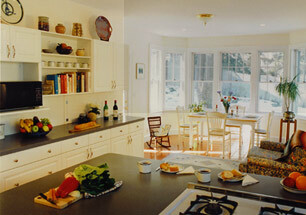 This is a kitchen/family room addition to a house in Arlington, Massachusetts. 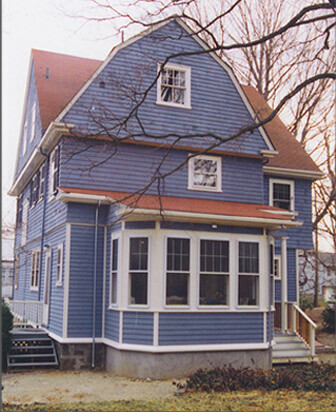 Although the property had a very nice rear yard, the original design was not conducive to using it. 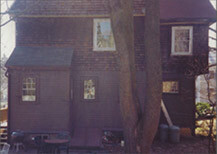 The addition not only improved the house and kitchen but made the back yard accessible and open to the house.